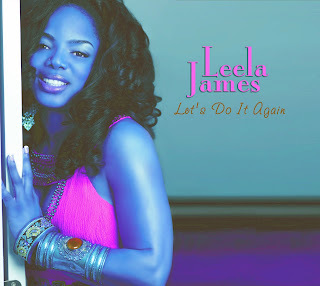 Discussions Magazine Music Blog: LEELA JAMES - do it again, girl! LEELA JAMES - do it again, girl! Leela James is one of the most exciting and acclaimed R&B singers to have emerged during the past five years. Her debut album scanned over 200,000 units and she was a VH-1 “breaking artist” whose videos were in heavy rotation on VH-1 Soul for long periods of time. Her passionate vocals have been compared to such soul legends as Tina Turner and Chaka Khan. Let’s Do It Again, Leela’s long-awaited follow-up to her powerful debut, delivers a powerful set of soul music, recorded with her own band in the studio.